The complete system with a full face mask Shigematsu and a highly effective filter against particles guarantees high nominal protection factor (NPF 2000), sufficient airflow and simple decontamination. Special emphasis has been placed on the low weight, simple operation and long operation life of the system. 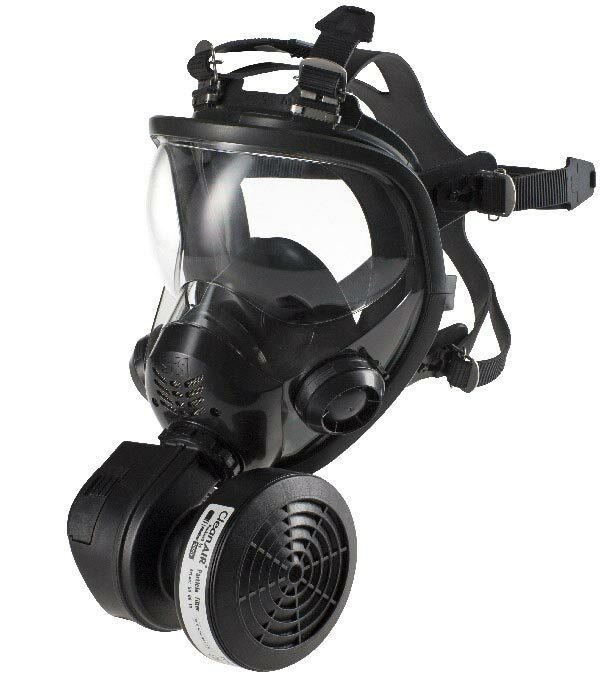 Thanks to its construction, the respirator can be connected directly with the full face mask or with the help of an adaptor (supplied with the respirator) placed on a belt and connected with a hose. See our full range of PAPR!